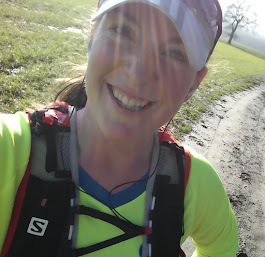 Last week was terrible for me in terms of training, and general preparation for the TP100. After the marathon on Sunday, for some unknown reason I just couldn't drag myself off the sofa and didn't run Monday to Friday. My diet was terrible too, and I just felt totally low on energy and motivation. I'd booked a place for Saturday's day 2 of the Jurassic Coast Challenge - a brilliant sounding event that one year I'd love to run in full - but when I realised that I'd have to get up at about 3am on Saturday morning to get to the start, in Weymouth, on time, I decided not to go. I didn't even email anyone to let them know - just didn't show up, and that's really poor form. The Brentwood Half in 2008! Thankfully, I also had a place booked in the very local Brentwood Half Marathon on the Sunday. Somehow, despite feeling completely disinterested in my running, I decided I had to make the effort and get to the race, even if it was just a half and I didn't think I'd really enjoy it, what with the predicted rain, the large number of other runners (relative to the small events I usually take part in) and the all-road course. But it's my local race, and I couldn't think of a decent excuse not to go. The Brentwood Half was the first race I ever took part in, back in March 2008. I finished that in 02:14:16, and although my PB for a half marathon is over 25 minutes faster than that (1:48:06 at Reading in 2012) I wasn't expecting to go much faster than that first ever race time. As you can tell, my mental state was not where it should have been! Once we started running, I got a bit caught up in the crowd, and was going a bit faster than I thought was good for me even though it was downhill - somewhere in my mind I was thinking I should probably be running about 9:30 min/mile and I was going nearly a minute/mile faster. So rather than just going with it, I slowed down and plodded on. I kept thinking about how I wasn't really enjoying myself. Everything hurt. The roads weren't closed and the cars were too close. The cheers of the lovely people who had given up their morning to come and cheer us along, for some reason grated on my nerves and I wished that if I had to be running, I could be running on my own. I wasn't in a great place. But then, just after about 8 miles, I seemed to wake up. Whatever combination of hormones running sets off in your body, they'd finally reached my brain, and I started to feel much, much better about everything. I remembered what it was all about...what I was meant to be doing...and realised that with some effort I could probably still get a sub 2hr and that at this stage in my running career, there really wasn't any excuse for running slower than that! So, I started to run faster and get a bit more focused. I started to overtake people, and to be honest, was suddenly amazed at how much I still had in the tank. I'd left it late to go for the sub2, and actually ended up working much, much harder than I thought I'd have to, especially because the last mile or so is uphill. I was really pushing myself. I don't remember the last time I worked so hard for a finish to be honest, and I became absolutely desperate to get the time. I was breathing harder and started to feel the effort - I realise just how much of a plodder I've become and how much more rewarding it can feel to push yourself! I remember looking at my watch, convinced I should be there, but still couldn't see the finish, and realised I was going to have to really kick to the line. I was overtaking people left, right and centre, and it felt brilliant. As the finish line came into sight, I could also see the clock. It was counting gun time, obviously, and although this was a chipped race I became determined to not only get a sub 2hr but to get a sub2 on the gun as well. My splits are below, and I'm very pleased with those final few miles and my negative split. It may only have been 13 miles, but I feel like I worked harder than I have done in months, and I'm really proud of myself that I kept it going and got the job done in the end. Then I ran the 6 miles home. Brilliant running ... and you've got to love a negative split!! :) Well done on managing to turn a race around that you weren't enjoying too. Is so easy to get caught up and just feel worse and worse!! ... and love that you ran 6 miles home after that!! Just brilliant!